The National Assembly (NA) Standing Committee convened its 32nd session in Hanoi, from March 11 to 13, under the chair of NA Chairwoman Nguyen Thi Kim Ngan. Five bills were tabled for discussion at the meeting, including the draft law amending and supplementing some articles of the law on state audit, the draft revised law on militia and self-defence forces, the draft law on architecture, the draft revised law on education and the draft law on libraries. The NA Standing Committee also looked into a draft resolution on handling tax debts and fines on overdue debts of tax payers. The Committee also adopted a resolution regulating the military ranks of lieutenant general and major general, which have yet to be set specified in the 2018 Law on People’s Public Security Forces. 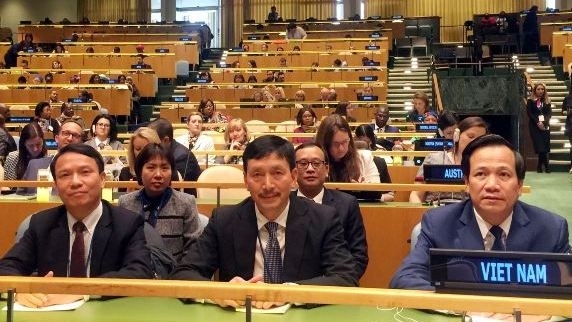 Minister of Labour, Invalids and Social Affairs Dao Ngoc Dung highlighted several of Vietnam’s achievements in reducing gender inequality and reaffirmed the country’s efforts to fulfil gender equality targets while addressing the 63rd session of the UN Commission on the Status of Women (CSW) in New York on March 13. The minister affirmed the stance of Vietnam and many other UN members in considering ensuring social welfare the leading goal in national development. The 63rd session of the CSW is underway in New York until March 22 with the participation of more than 100 vice presidents, deputy prime ministers and ministers from countries around the world, along with representatives from multilateral and non-governmental organisations. The annual National Press Festival 2019, themed “Renovated, creative, responsible Vietnamese press for the interests of the nation and people”, took place in Hanoi from March 15 to 17, attracting 85 centrally-run press agencies and local journalist associations. The organisation board presented awards to the most impressive pavilions; best Tet newspaper cover pages; best e-paper display; best Tet (Lunar New Year) TV programmes; best scientific researches; and best reportages on the environment, climate change, and natural disaster prevention. Publications were also presented to soldiers in border and island areas on the occasion. For the first time in Vietnam, doctors from the Hanoi-based Vietnam-Germany Friendship Hospital have been successful in performing a split liver transplant, dividing a donor’s liver and transplanting it into one adult and one child patient. The hospital on March 15 announced that organs donated from a 30-year-old brain dead man have been transplanted into five patients, including two kidney and two liver transplant recipients, as well as one heart transplant. In addition, blood vessels have been sent to a tissue preservation bank for transplanting to other patients. The success of the split liver transplant has affirmed the profession of the local medical staff and offers a new opportunity for patients waiting for liver transplants. Nguyen Nguyen Le, a 10-year-old student of the Vietnam National Academy of Music, was presented the first prize at the 12th International Competition Arthur Grumiaux, Belgium-Brussels 2019 at an award ceremony held at the Royal Conservatory of Brussels, on March 11 (Vietnamese time). Named after the Belgian violinist Arthur Grumiaux, the competition is one of the most prestigious annual music competitions in Europe. 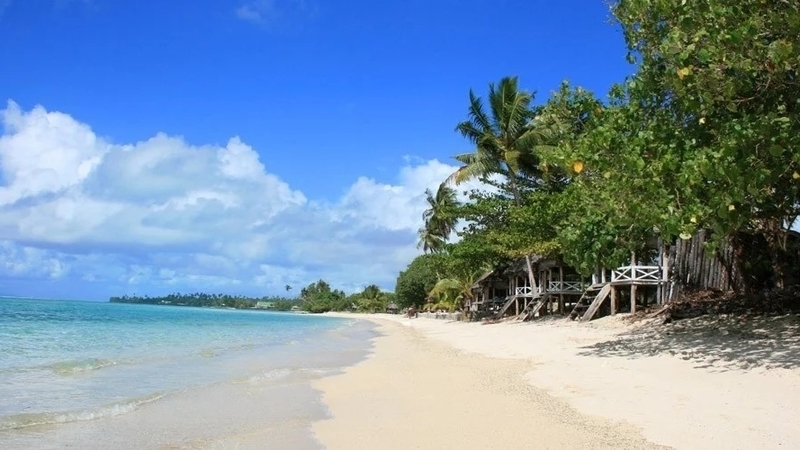 The beach, which is around 3km from the World Heritage ancient town of Hoi An and 22 kilometres south of the central city of Da Nang, is in 17th position, up five places from last year. This is the fourth consecutive year An Bang has won a place on the list. The sixth ban flower festival 2019 kicked off in the north western mountainous province of Dien Bien on March 16. The six-day festival featured a string of activities including sporting events, a folk music festival, a display of tourist products, the “Highlands Market”, and the second Miss Ban Flower Beauty competition. A similar festival was also observed in Son La province from March 15 to 17 with an aim to honour and preserve the values of the local culture, while combining cultural preservation with tapping tourism potential. Le Quang Liem secures three wins, four draws and two losses at the 2019 Spring Chess Classic in St Louis, Missouri, USA. Vietnam’s No. 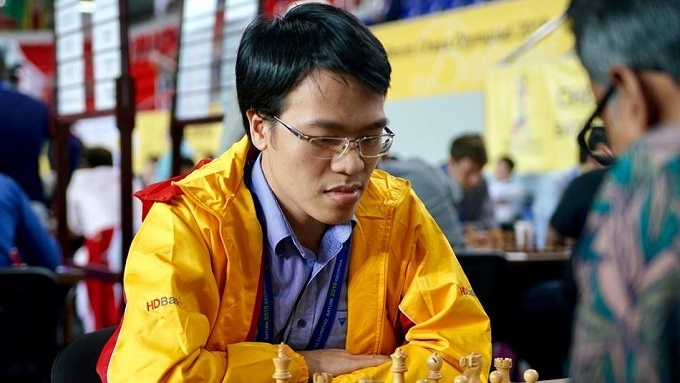 1 chess player, Le Quang Liem, came out in third place overall with five points at the 2019 Spring Chess Classic which took place between March 2 and 10 in St Louis, Missouri, USA. As the third-place finisher, Liem walked away with a cash prize of US$3,000. The 2019 Spring Chess Classic featured the participation of ten players with an average Elo rating of 2657, who battled it out for more than US$30,000 in total prize money.